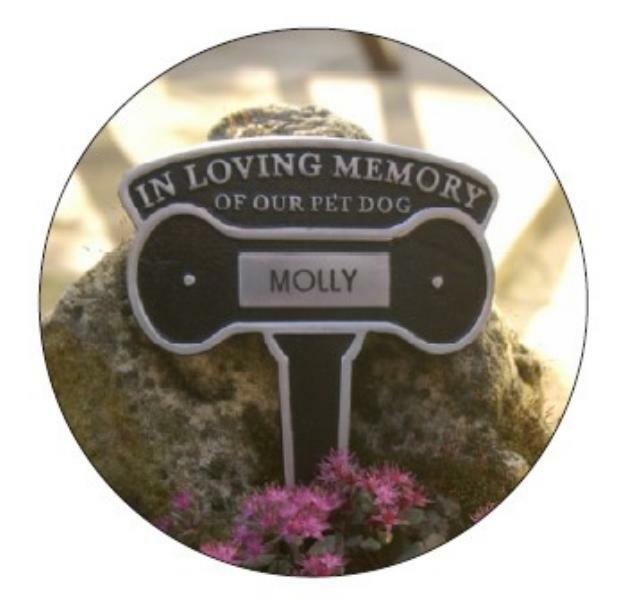 This dog memorial plaque is made of high quality cast brass or aluminium. Choose whether you would like a brass or aluminium dog memorial plate when you order. The dog memorial stake is engraved with your pets name for free, and is approximately 10" high. We have limited supply of the dog memorial plaque, please contact us for availability or an alternative.